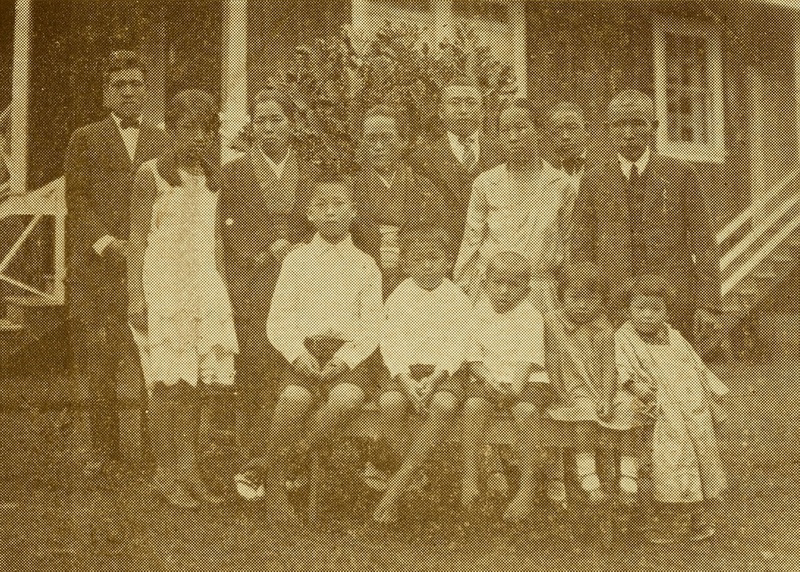 He moved to Hawaii in July 1891 and has lived in Hakalau for 33 years, during which time his service to the public and his family is well worth mentioning here. In the founding years of the church and its school he fully dedicated himself as a founding member in building the foundation for today. He continued to offer his dedicated service as a religious service assistant and in school administration. On June 3rd 1928, he was recommended to be an advisor. On June 4th 1933, he was commended for his dedication to the church and its school for the 30th anniversary. His family emanates the sense of peace and happiness.